Our biggest group of students yet! 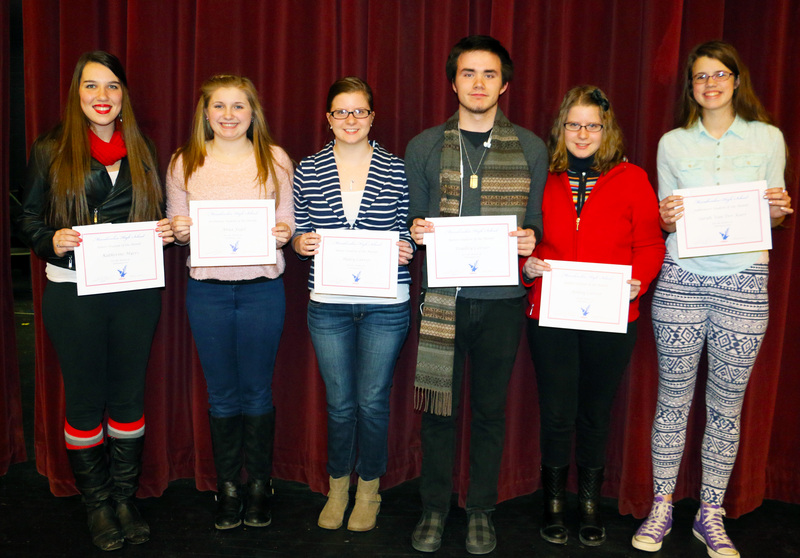 The February Student of the Month assembly saw the awarding of not four, but six Students of the month! Freshmen – Anya Fegel, Sophomore – Sarah VanDerKarr, and Senior Katherine Myers joined Juniors Ashley, Bradley and Haley Carver on stage for the award. As always, students were joined by their families on stage as the names were announced.